When choosing the best type of grass seed for your lawn, the key is to focus on your region, soil and specific needs, such as shade or poor soil quality. North America doesn't have many native grasses, as many are cross-bred for specific climates or regions, and bluegrass is probably the most common. There are basically two types of grass seed--cool season and warm season, specific for seasonal climates. A few specific grass varieties from within these two categories are best to plant under certain conditions, such as full shade or poor soil. 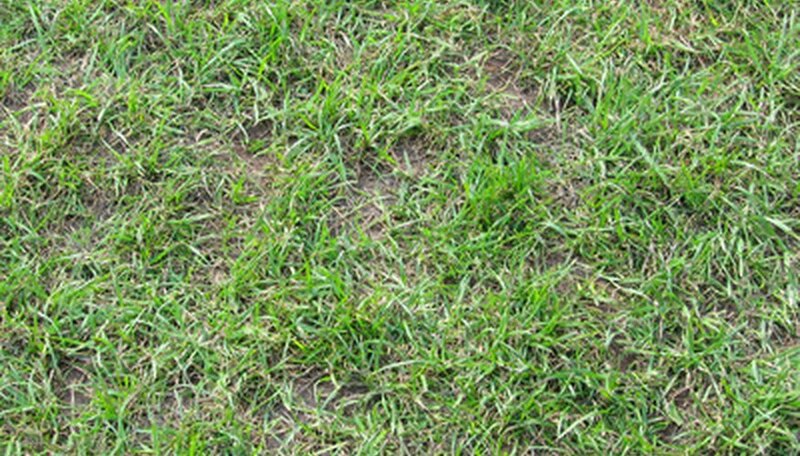 Warm season grass seed is ideal for southern regions, which is a difficult region for which to choose grass. This is because of humidity, sun exposure and poor soil quality in some regions. This grass variety turns brown during winter months though, which can be fixed by over seeding with cool season grasses during the cooler months. The best types of warm season grass seed include bahiagrass, Bermuda grass, buffalo grass, carpet grass, centipede, St. Augustine grass and zoysiagrass. Cold season grass survives in regions with cold winters and warm to mildly hot summer seasons. Although they can survive drought, these grass seed varieties go dormant during this time, so it survives best with at least occasional watering. The best cool season grass seed includes bentgrass, Kentucky bluegrass, rough bluegrass, red fescue, annual ryegrass and perennial ryegrass. This is a cool season grass seed that stands out from the rest of the group. It is the best grass seed for companion planting on lawns. Not only does it blend well with a fine soft texture, it establishes faster than other grass seed varieties. Ryegrass seed is drought and cold tolerant, so it is adaptable to many climates and regions. Fescue grass varieties are all cool season varieties, providing the best seed to plant for Midwest lawns and landscaping, particularly for shaded lawns, problems with bad soil or seed blends. Creeping red fescue is one of the most popular types, as it provides the most attractive turf. Hard fescue and chewings fescue are most appropriate for shade or bad soil areas. This cool season grass seed should be the seed used for lawns in full sun and areas with hot summers in the Northeast. It is a soft textured grass with fine blades. This is best for filling in bare spots on a lawn, but it takes longer to fill in than other grass seed varieties. For the bluest appearance possible, use a fertilizer with lots of iron in it.